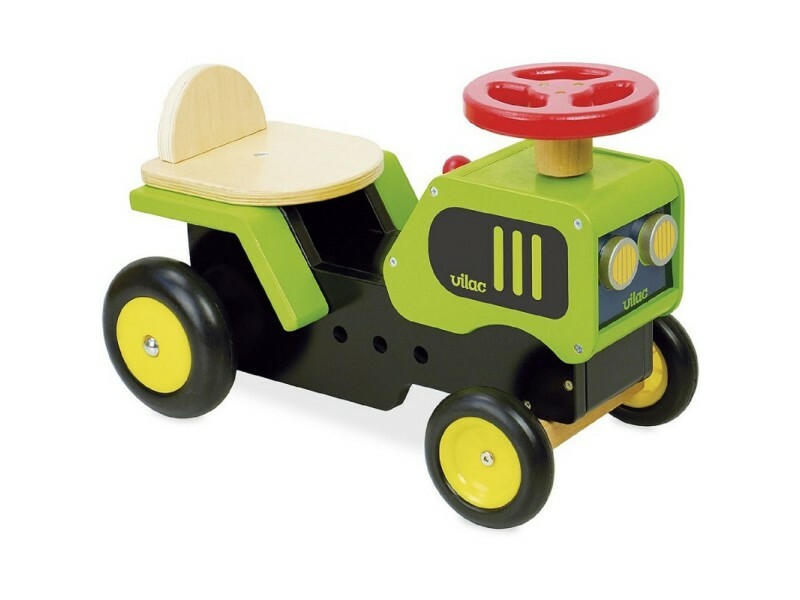 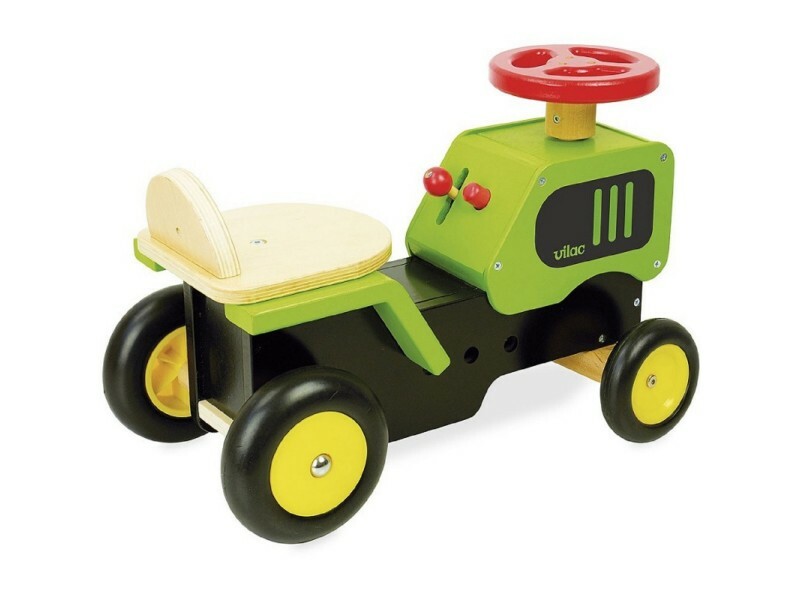 This fantastic ride on wooden tractor from French toy maker Vilac is the ideal first vehicle for little farmers! 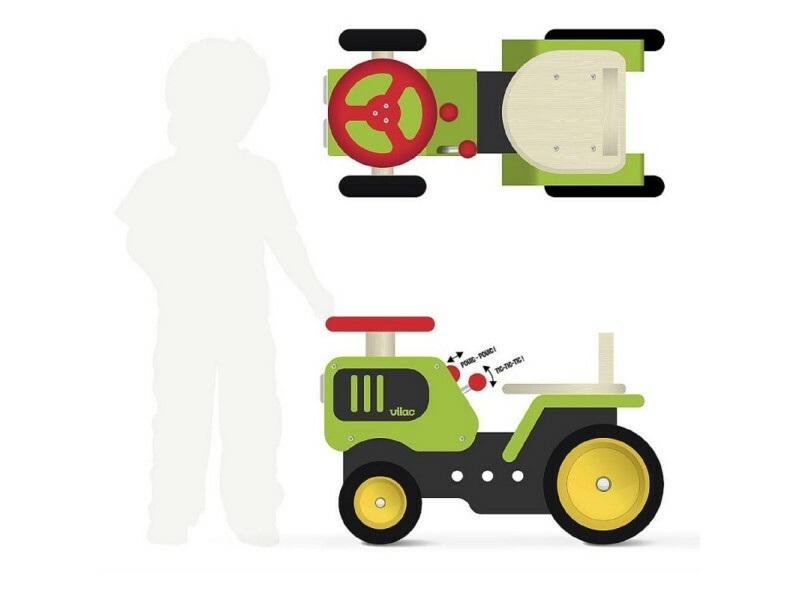 The green tractor features a horn with sound and a gear lever that also has sound effects. 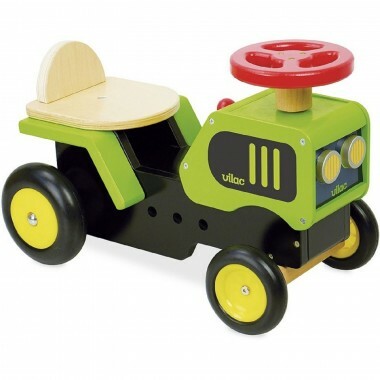 The wheels are made of plastic with rubber tyres to aid a smooth ride on hard surfaces.